AR can be fun for all ages. New game Pizza Defense released for Live Game Board shows that AR gaming can be a lot of fun. Even small children as soon as they can hold and touch screen of a mobile can play this easy and fun game. Game is very simplistic to control, all you have to do is to hit bugs you see on the screen. 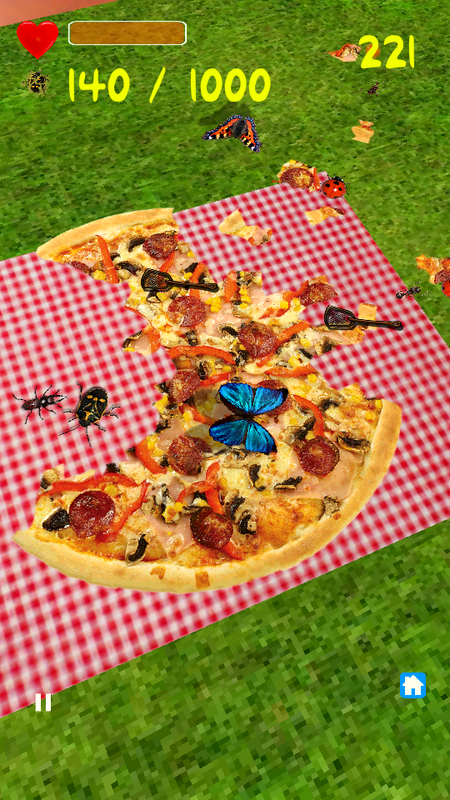 These bugs are stealing your pizza, you have to be quicker and quicker over time to keep up protecting it. Augmented reality game control is helping you to explore surrounding areas easily and get these bugs as soon as they appear. Getting mobile further from board will give you good overview of the situation and moving it closer to board will reveal every detail of bugs eating your pizza. “Imagine game developer would want to let user to change the game view on all aspects. He’d need to watch for gesture for zooming, gesture for rotation and gesture for tilt. Imaging you would want to change this view as a player in a game when 10 bugs are stealing your pizza ;o) With augmented reality view control you get all these view changes instantly without distracting you from playing the game” Stan Kuhn Live Game Board founder explains how AR makes the game much better. This is third game available to download for free for Live Game Board at its prototype stage. We are working hard to prepare release of first version of the board which will feature at least 2 more games. It is expected to be released during August and at the same time it will be possible to order large print online to be delivered to your door. 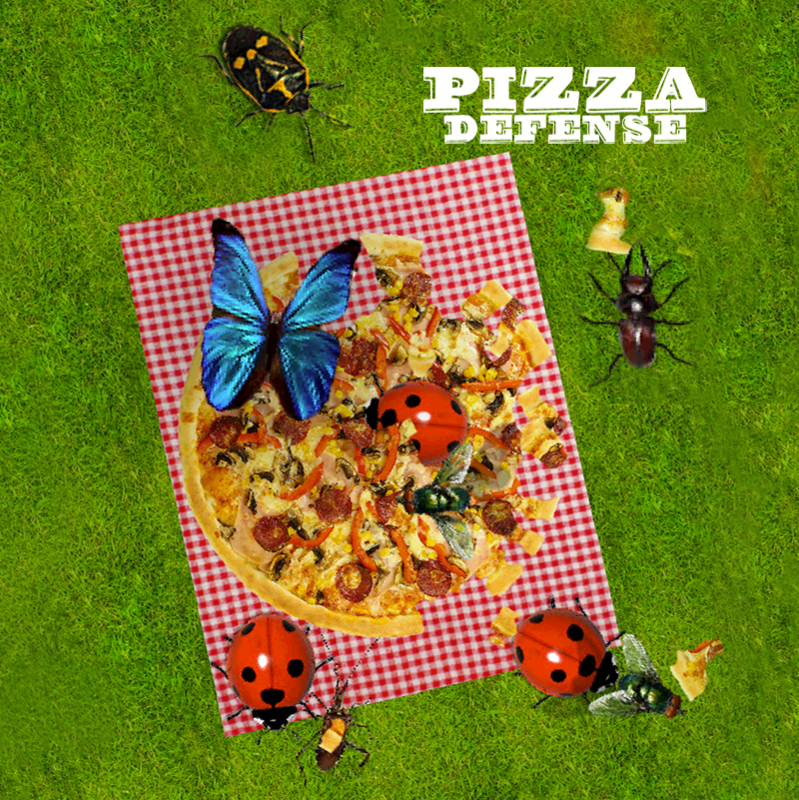 Download Pizza Defense game here. Live Game Board aims to bring totally new experience of playing mobile games directly in your living room. The board is physical printed big size poster or canvas acting as a game board. Not only it will give you great quality in playing Augmented reality games, Live Game Board is also a publishing platform for game developers, therefore by supporting them we will bring plenty of games for you to play on one single board in Augmented reality.